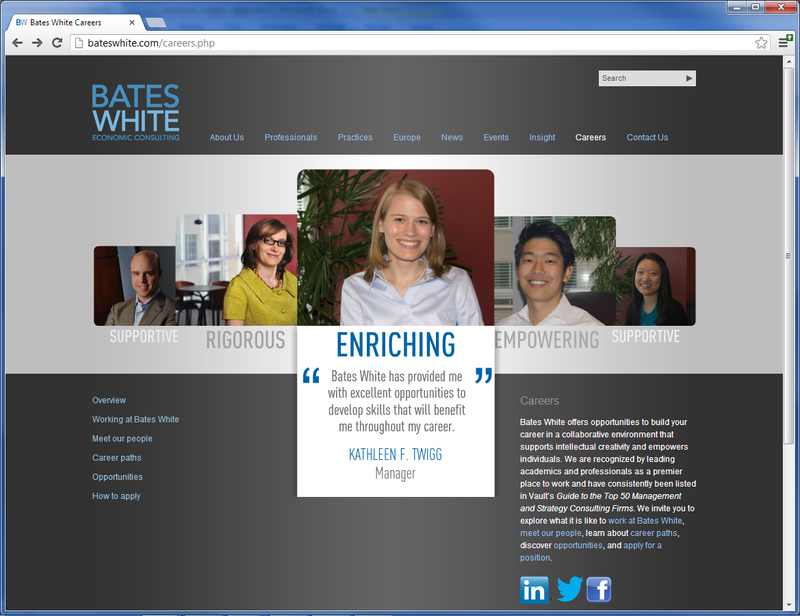 As mentioned in another post, Bates White adopted a new branding identity shortly before I began working for them. Part of the identity upgrade was a brand new custom website using a content management system (Point & Clique). The developers of Point & Clique were also responsible for the design. Having a fair amount of expertise in website design and management, I recommended certain naming conventions and created easy-to-follow training guides for the marketing team that was going to populate the new website with all existing content, as well as maintain it going forward. Additionally, I taught the marketing team some simple work-arounds and web languages (HTML and CSS primarily) for specific needs as they came up. 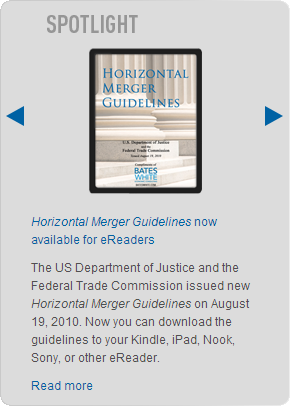 The website also required numerous photographs and images throughout (at right, below). Depending on the need, I either found appropriate stock images, or took photos (primarily of employees) from time to time.